After years of economic boom, voters in San Francisco, East Palo Alto and Mountain View will decide this November if big corporations should be taxed to help pay for issues that have only gotten worse as business has grown: housing and transportation. Business groups against the tax hikes argue the measures would give companies a reason to expand in other cities, or even worse, leave the region altogether. Supporters however, counter that corporate philanthropy has been insufficient to take on the Bay Area's problems like homelessness and transportation. They argue that a steady funding stream must be created to pay for services. "With all of these business taxes right now, there's certainly an inspiration to take advantage of the enormous prosperity we have in the region, while we have it," said Molly Turner, a lecturer at the UC Berkeley Haas School of Business. The debate has touched a nerve in San Francisco, where a proposed tax hike has sparked a clash of tech titans, divided political allies and led the city's new mayor to make the most controversial decision of her tenure. Proposition C would double the city's homeless services budget by raising the gross receipts tax on annual revenue above $50 million that companies bring in. The average half-percent increase in the tax would raise roughly $300 million annually to help get homeless San Franciscans off of the street. Half of the money would go toward long-term fixes, like supportive housing, while the other half would go toward more immediate assistance, like shelters, mental health services and rental assistance. "We just got this massive tax break from [President] Trump. The corporate rate went from 35 percent all the way down to 21 percent," said Jennifer Friedenbach, executive director of the Coalition on Homelessness, which sponsored the measure. "In order to address the systemic crises we need ongoing revenue." As thousands of people sleep on the street each night, most San Franciscans would be quick to name homelessness as a top issue facing the city. Less clear is what voters are willing to do to address the problem. The last two ballot measures that proposed a tax hike to raise money for the homeless — a 2016 sales tax increase and a real estate tax on the ballot last June — both failed. Proposition C differs because it would dedicate all the revenue it raises to homeless programs. "What we've seen in the past is tinkering, and I don't think voters have a lot of patience for that," said Friedenbach. "They want to see big change." It's estimated that 300 to 400 companies would pay the Proposition C tax hike. These corporations already pay 57 percent of the business taxes collected by San Francisco, according to a report from the Office of Economic Analysis. That's on top of the increased costs necessary to recruit and retain workers in the region, said Jim Lazarus, senior vice president of public policy at the San Francisco Chamber of Commerce. "At some point the straw breaks the camel's back and some chief financial officer says, 'When the lease comes up we're leaving town,' " he said. Similar warnings from Amazon pushed Seattle's City Council to abandon a newly enacted business tax earlier this year. 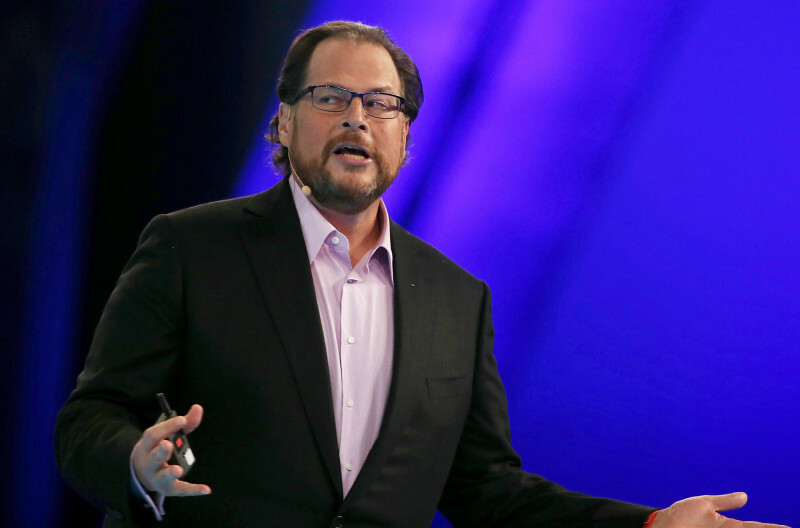 But San Francisco's largest private employer, Salesforce, has taken a markedly different stance on Proposition C. The cloud computing giant has donated $4.7 million to the Yes on C campaign, with another $1 million coming from CEO Marc Benioff. This despite Benioff's assertion that the company stands to pay millions more under the tax proposal. To Benioff, the debate over Proposition C is black and white, and CEOs who aren't for the measure aren't being socially responsible. "What I've found is there's two kinds of people in San Francisco," he told KQED. "There's people who are willing to give and always opening their hearts and their wallets to support whatever society needs. And there's those who won't give at all no matter what." Implied in that second group was Twitter CEO Jack Dorsey, who Benioff traded jabs with over Proposition C. Dorsey argued that his company Square will be hurt more by the tax increase than Salesforce. Last week, Lyft and Macy's joined Square to donate to the No on Prop. C campaign. It didn't make much of a dent. Thanks to Benioff, the "yes" side has raked in four times as much in contributions, according to data from the San Francisco Department of Elections. 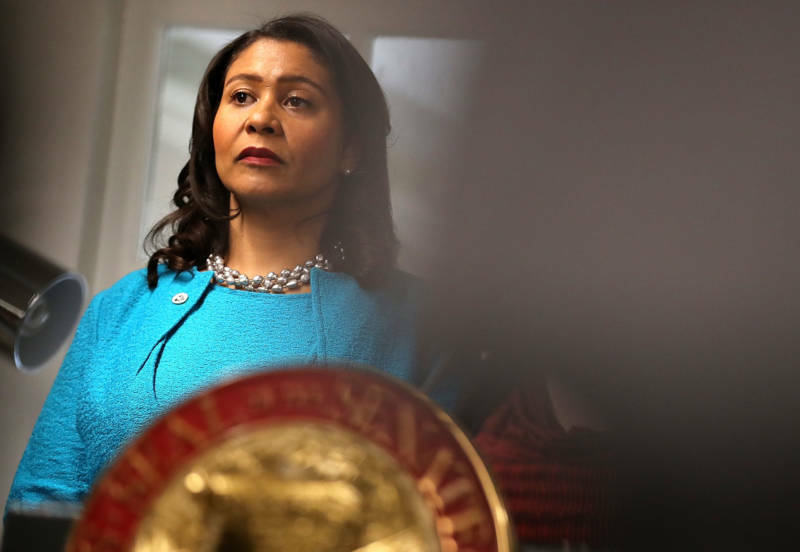 Benioff's stance on Proposition C has also caused a fissure with a political ally: San Francisco Mayor London Breed. Benioff said the need for sustained homeless funding is best illustrated by a call he recently got from the mayor. Breed was looking for a donation of $8 million to acquire a site that could be used for affordable housing. "She's out of money. Her budget was fully maxed," Benioff said. "The city has these shovel-ready projects ready to go and we can directly address these homeless people if we have more directed funding." Breed disagrees, not only with the nature of the call — she said she asked Benioff for the immediate donation because a budget supplemental would have taken too long to secure the units — but with the idea that San Francisco can hike taxes for homeless services without consequences. "Can big business pay more to support this? Yes, they can," Breed told KQED. "But things like a ballot measure need to be handled more responsibly," she added. "Making sure that as we try and tax, that there aren't the unintended consequences of job loss for middle-income residents. I mean manufacturing, retail, those are things that are important to San Francisco." The city's economic analysis of Proposition C finds that retail would be the sector most at risk of job loss, but that the tax's overall impact on jobs would be insignificant: an estimated loss of 0.1 percent of all jobs in the city. Brimming beneath Breed's warning of job flight, and her stated desire for the city to get a better handle on how it spends the $300 million already dedicated to homelessness, seems to be a political frustration. The mayor was elected in June on a promise to address the crisis. If Proposition C passes and doubles the city's homeless budget, it will likely be Breed — not Benioff or the homeless advocates who wrote the measure — who will be judged for its results. "I want to make sure that I'm being held accountable for the decisions I make," she said. "Not the decisions that other people are making." And there's a chance the heated debate over Proposition C could actually stretch past November. Supporters are hoping that a recent state Supreme Court ruling will allow the citizens' initiative to pass with a majority vote. Historically, local measures that directed funding to a specific source, like homeless services, required a two-thirds vote. The tax measures in Mountain View and East Palo Alto have come with significantly fewer political fireworks, but also reflect a shift toward demanding greater corporate responsibility to take on the Bay Area's vexing housing and transportation problems. Measure HH in East Palo Alto would tax large commercial office space at a rate of $2.50 per square foot to pay for affordable housing. Supporters are hoping to capitalize on the recent growth of Amazon in the city, and Facebook's expansion in nearby Menlo Park. "We're just trying to protect our community and have a fair share that will improve the lives of more people," said Mayor Ruben Abrica. "We're also trying to be proactive because we know that other development is going to take place." Mountain View's tax is more heavily directed toward a single company: Google. The proposed "head tax" in Measure P would tax companies for each employee, with larger companies paying higher rates. Revenue from the tax will go to the general fund, with the promise that it will be used for transportation. 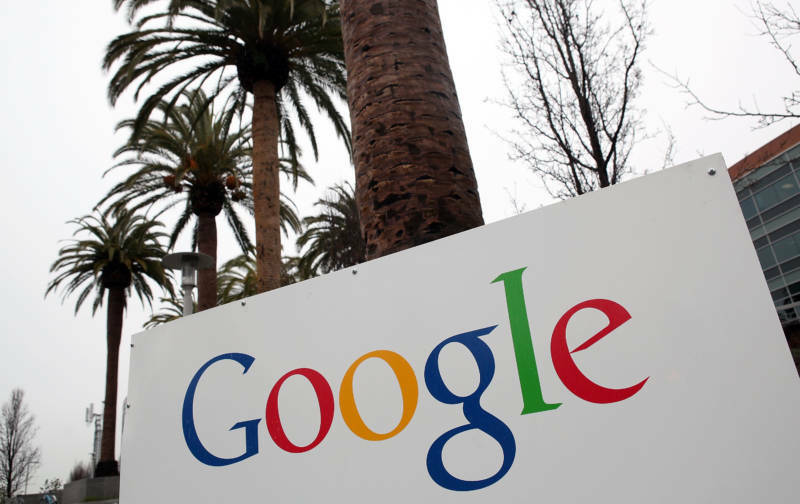 The tax is expected to raise $6 million annually, with more than half coming from Google. Google is not opposing the tax increase, and Mountain View Mayor Lenny Siegel said the search giant has been quick to assist with issues like homelessness in the past. "They're a good corporate citizen but we can't bond against their donations," he told KQED's Forum. "So the tax will allow us to bond so that we can build the infrastructure that allows Google employees to get from Caltrain to the Googleplex." The demand for more investment from big business, and in particular the region's thriving tech companies, is a reversal from the policy conversations that took place in Bay Area cities at the beginning of the decade. Then, San Francisco changed its tax code to attract and retain businesses, with particular incentives for growing tech companies. Many supporters of the Bay Area business taxes claim that those thriving corporations did not reciprocate the friendly policies. 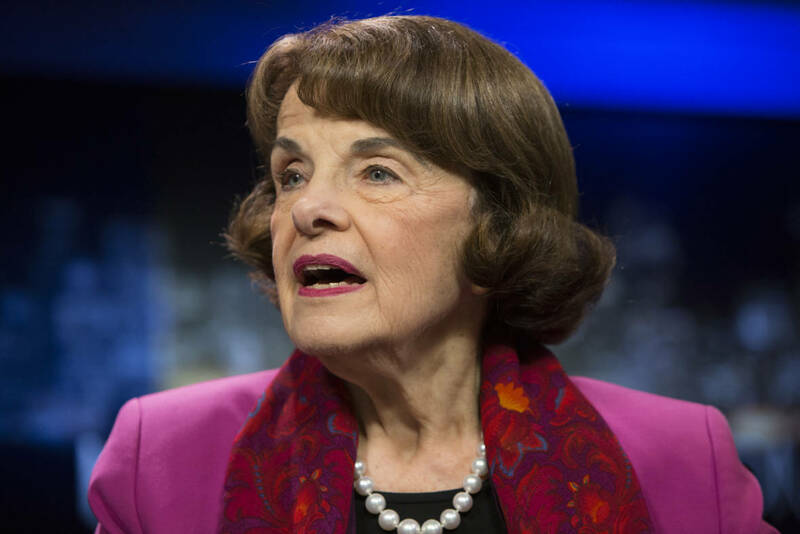 "I don't see tech as very civically involved, and I think they have to be," said Sen. Dianne Feinstein, who told KQED she supports Proposition C.
"Like when I was mayor, the CEOs of the big banks — I could go in and ask them to help with any civic cause. Cross my heart. I never got a 'no.' Bank of America, Wells [Fargo], all of them said 'yes.' "
So instead of asking, the tax measures hope to compel Bay Area corporations to put a greater amount of skin in the game toward local problems. The question remains whether a push like Proposition C has come too late, and is simply setting the stage for a fleeting victory. 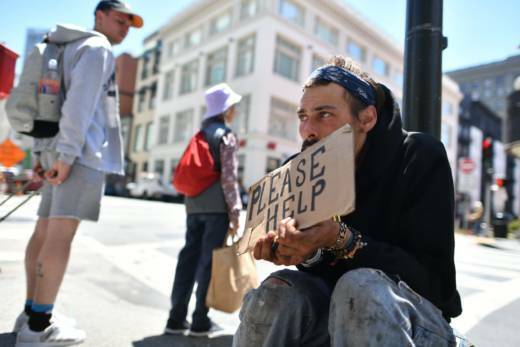 "There is certainly a risk if we rely on this one tax to fund a huge part of our homeless services," said Molly Turner of the UC Berkeley Haas School of Business. "If we have a correction or a recession in the near future, that's going to cut significantly to our ability to fund those programs."